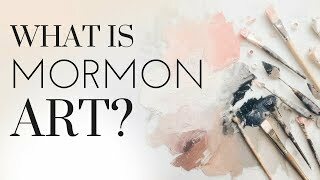 A critical look at all of the traditional parameters one might use to define “Mormon art” and how the art of other Christian denominations might be able to teach us. There is also another angle not mentioned in this video. That is the mainstream art that is LDS in nature but not so expressed. In the world of literature for example there are over 10 LDS authors who have made the NY Times best seller’s list. Some of such works have a LDS overtones but are not outright expressed.